Fall semester is here, so now we've got uni-oriented campaigns to sift through. "Hail, Stanford, Hail" is an effort for that one school in California whose name we'll let you guess. This is the site. Note that it's down (or was when we looked). Hail, Stanford, Hail. 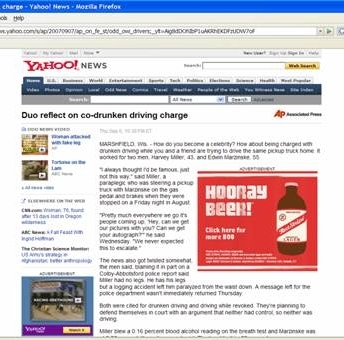 But when it's up, it hosts two clever little videos that include college antics dubbed with a professorial narrative. Here's some trivia: Stanford is the alma mater for the inventors of the microwave and the FM synthesizer. Hey, where are the ad campaigns for Berkeley? Oh yeah, everybody there is still on strike and lamenting the recent loss of Bob Marley. 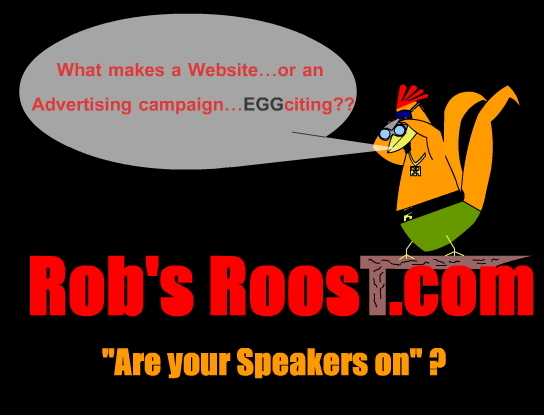 What makes a website or an ad campaign EGGciting? Don't come here to find out. The music will appall you, the animation and imagery will bring you feverish memories of your attempts to build a site on GeoCities and AngelFire, and even the font makes us angry for some odd reason. Shortly after asking in a manner most slow what makes a site or campaign EGGciting, a little mouth appears and screams in our faces to demonstrate, we don't know, the element of surprise. Thankfully we were already distracted by then so the full effect was lost on us. Rob, whoever you are, leave the gurus to Axe and Tanqueray. Have you ever felt your baby was just not bulletproof enough? (If you are 50 Cent's mother, probably - or not, depending on how you look at it). Visit Bulletproof Baby for bulletproof cribs, strollers, vests, toddler tasers and disturbing product-test videos, all meant to ensure that you, the discerning customer, have a happy bundle of steel. And while we have no idea what that movie has to do with babies, we know it has plenty to do with bullets. And Clive Owen. If you like farms with pigs, cows, fish, farting farmers, aliens and atomic bombs that launch out of grain silos, you're gonna love this new site for Butternuts Beer & Ale from Woods Witt Dealy & Sons. just click around and have fun. Don't forget to click on the tractor in the back. Along with the website, the campaign also includes print ads, table tents, packaging, posters and a MySpace page, all of which can be seen here. 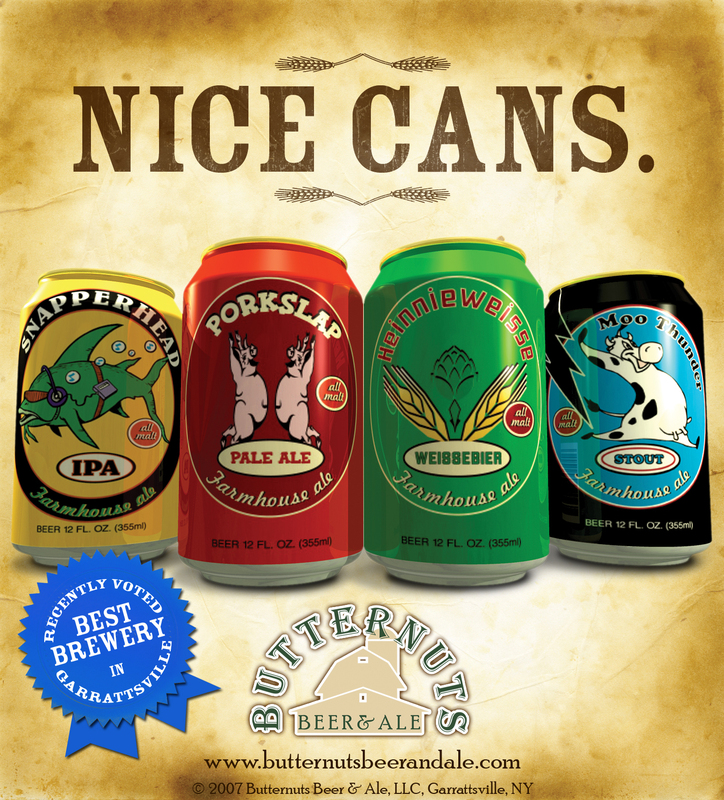 In one of the print ads, the cans are celebrated with the write-itself headline, Nice Cans. 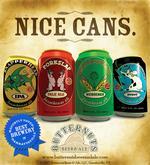 The ad is also carries a blue ribbon honoring the breweries position as best brewery in Garrattsville, New York. Not that there's any other brewers there which , of course, is the entire point of the ribbon. Dubbed "farmhouse ale" (whatever that is) the beer's got great names like Porkslap, Heinnieweisse and Moo Thunder. If a microbrewer has to set itself apart from the pack, aligning the brand with farm nomenclature is certainly one way to do it. We were beginning to think there was no longer any such thing as sites that take two minutes to load and count to or from 100 the whole time. But Manning's Mind, a new promotion for Sprint by Goodby, defeats that logic. Post-load, the site is actually not bad. It just isn't anything special. 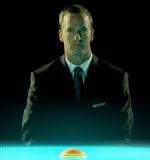 Take Peyton Manning on in a trivia-style game where each point won brings you closer to a touchdown. It appears Peyton Manning is one of the only sports celebrity sponsors who's actually used for what he has to say. We don't know what that means, but it's interesting. Look, a Volvo Scavenger Hunt! More interestingly, is it just us or is the music for the subsite a throwback to the score for Vanilla Sky? It's probably just us.